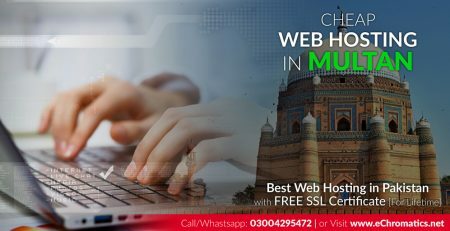 eChromatics Web Solution offers up to 95% OFF on Domain Registration and Best Web Hosting in Pakistan Regular and Premium Hosting Plans with Free SSL Certificate for Lifetime. Promo Code: [LIFETIME15] Applicable for Lifetime Renewals & Upgrades. Promo Code: [ALLOFF25] Applicable to New Signups. Promo Code: [WEBHOSTING40] Applicable to New Signups. Promo Codes: [DEVELOPER50] & [STUDENT50] Applicable for Lifetime Renewals & Upgrades. 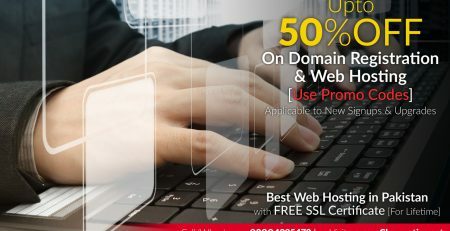 Promo Code: [DOMAINS95] Applicable to .com .net .info .org .biz domains & New Registration. 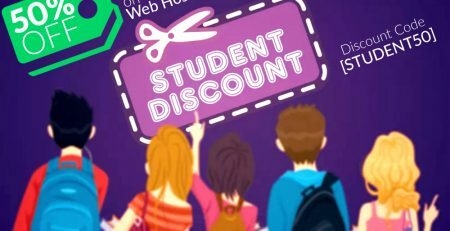 Must choose a hosting plan with annual billing to avail this discount.